If you are looking for the best garage door repair company in Addison, you have come to the right place. 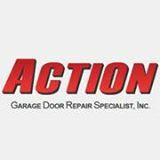 For 30 years, Action Garage Door Repair Specialists have given residents all over Addison the garage door service that benefits them the most. For years, we have been providing residents all over Addison with the garage door service they need at a fair and affordable prices. As a garage door repair company that is committed to customer satisfaction, nobody beats Action Garage Door Repair Specialists. Our family-owned and operated business has been satisfying customers for a very long time, and we are waiting to help you find the services you need for your garage door in Addison. We perform all of our work in strict accordance with local codes and our products will be able to withstand whatever the elements can dish out. At Action Garage Door, we understand you have many needs when it comes to garage door service. For this reason, our garage door service goes way beyond simple repairs. Some of our services include residential garage doors and commercial garage doors installation and repair, and garage door maintenance. We also offer great garage door Internet specials on a regular basis, so check back often. No two home or business owners are alike, and our garage door repair company understands that no two will want the exact same garage doors and set up. At Action Garage Door, we offer a variety of garage doors for installation in Addison homes and office warehouses. Some of our options include Carriage House, Olympus, Classica, Stratford/Heritage and Amarr garage doors. In addition to the types of doors we install, we can help you create a custom garage door so you can get the door that goes perfectly with your home or business. Whether you want to match the exterior just perfectly, or if you are picky about windows, a fully customized garage door is just around the corner. To get started with your garage door repair, installation, or replacement, contact Action Garage Door in Addison today and let’s talk about the options available from the garage door repair company that has been caring for customers since 1984. 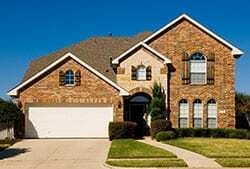 If you need assistance with a garage door problem in modern Addision, a popular close-in northern suburb of Dallas, just call the team at Action Garage Door. They can be at your home in a jiffy to adjust, tweak, repair or replace anything that ails a garage door or opener. Whether you need a new spring, a new panel or an entirely new door, you can count on the trained team from Action. When you live in Addison, there’s no reason to let life get you down. It’s an upbeat, upscale kind of place, with great restaurants, lots of local celebrations, good entertainment venues, loads of shopping and a wide variety of local offices and corporate centers. Addison is alive and vibrant, and its residents know how to party. Addison is also a kind of modern phenomenon. It sprang from farming roots quickly in the mid-1970s when it voted itself the only “wet” town in the area. Its growth hasn’t stopped, but instead Addison has developed into a great place to live and work as well as to eat and drink. Note that Addison is a “town” rather than a “city.” At the 2010 census it was one of only two towns in the state (the other is Flower Mound, also a Dallas suburb) to have a population greater than 10,000. Since then, two more north Dallas towns have joined the ranks. Addison is landlocked, lying adjacent to Farmers Branch on Dallas’ northern boundary. Its population will remain low, while the other three North Texas towns are destined to grow substantially in coming years. While there are a few single-family homes on larger lots in Addison, the majority of its housing stock is in planned developments, townhouses, condos and apartments. It is a great location for young singles or for professional couples. Most families with children opt for more traditional neighborhoods. Addison is within the Dallas Independent School District, but only about 14 percent of Addison residents have children under the age of 18 living at home. The only public school in town is George H.W. Bush Elementary, built to high environmental standards adjacent to the town’s public trail system and accessible from two popular subdivisions. However, Addison is also home to two noted private schools, Greenhill Academy and Trinity Christian School. A third popular private school is nearby. Part of Addison’s appeal is its energetic vibe, its eateries and its “watering holes.” It is a destination for after-work shopping, happy hour gathering, dining out and late-evening fun, whether you enjoy music, comedy, stage plays, community celebrations or nature and landscaped common areas. There are numerous other annual celebrations in Addison, including Oktoberfest, Taste Addison and Summer Fest at Addison Circle Park. Vitruvian Park, a beautifully landscaped waterside amphitheater adjacent to a newer residential development, is also the site of spring and summer concerts, food truck celebrations and a dramatic lights show. All told, there are more than 135 annual events scheduled, attracting more than 650,000 participants. No wonder it’s a great place to live! There no reason to ever be bored in Addison! There’s also no reason why you have to worry about staying caffeinated. For delicious Brazillian Espresso, Kona Coffee, or a good ol’ cup of black coffee, visit Addison Coffee Roasters to start your day off right. Josh was extremely professional and completed needed repairs fast. Josh was outstanding!! Great job !!! Brian was very knowlegeable and assured me that my for would be functioning perfectly in 20 minutes. He did it and suggested I have a visit to me in tain the door annually. I will do so and would recommend this company for garage door services! Always happy with your service. Pricing seemed a bit high but prompt service is more important. Garage Door Repair, Installed New Springs and Rollers as Well as Applied a Door & Opener Tune up!